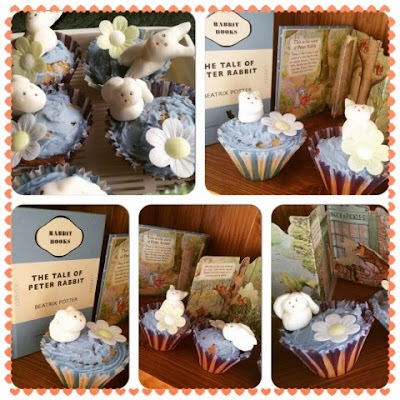 Beatrix Potter’s wonderful stories have charmed and entertained children for generations. Now fans can enjoy the brand new adventures of her timeless children’s classic Peter Rabbit in the first ever DVD collection of episodes from the new animated series. The Peter Rabbit – Tales Of The Start Of Spring DVD is released by Abbey Home Media on Monday, March 30th and is a perfect Easter gift idea. 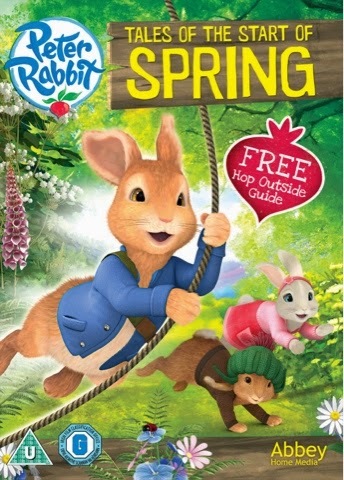 This enchanting collection features a free Hop Outside insert with outdoor activities for little ones and over one hundred minutes of adventure to treasure including the special 22 minute episode ‘The Tale of The Start of Spring’. The DVD also features The Tale of the Radish Robbers, The Tale of the Secret Treehouse, The Tale of the Dash in the Dark, The Tale of the Broken Bed, The Tale of Benjamin’s New Map, The Tale of the Terrible Trap, and the Tale of the Peekboo Rabbits. We've had quite a Peter Rabbit theme lately - did you see my Peter Rabbit cupcakes earlier this week? My children, age 3 and 5 have enjoyed watching this dvd with me - Blake (age 5) loves The Tale of the Dash in the Dark whilst Maegan (age 3) enjoys The Tale of the Peekaboo Rabbits best. This animated series is entertaining and inspiring as the stories are new to us as well as being familiar as in the use of Beatrix Potter's characters and story telling format. We enjoyed watching all the tales featured on the DVD and the stories are perfect to get you into spring and easter mode - this would make a lovely easter gift or school holiday treat. Disclaimer - I received a check disk version of this dvd for the sole purpose of reviewing it.